Not quite a month in office and the new Government, through their Minister for Planning Stephan Knoll, has announced the adoption of the Community Engagement Charter. This is the Community Engagement Charter developed by the previous State Government. Let us hope the new government follows the intent of the Charter. Many in the community believe the previous Government, while waiving the big stick at Councils, did not practice what they preached. This may well have contributed to their election loss. The Minister for Planning has announced the adoption and release of the Community Engagement Charter for implementation commencing on 27 April 2018. Community engagement is at the heart of the new planning system that will be introduced over the next 3-4 years. The Community Engagement Charter (the Charter) supports new and innovative ways to talk to communities and other interested parties about planning issues. The Charter changes the way that local and state governments are required to consult with the community during the preparation of changes to planning strategies and policies (such as rezoning of land). Rather than legislative one-size-fits-all approach the Charter requires those consulting to tailor the engagement to suit the project and the communities who are interested and may be impacted by the proposed changes. It recognises that with technological advances there are many options to successfully consult with communities. Local and state governments and other bodies consulting on planning matters will be required to meet the following principles in undertaking engagement. The Charter has been informed by a staged consultation starting with the Planning Together Panel and input by a broader stakeholder group. 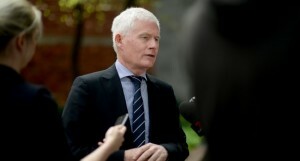 The Discussion Draft of the Charter was then released for six weeks of public consultation. Following that the Draft Charter was released for another six weeks of public consultation before final amendments were made. More information on the consultation process can be found on the SA Planning Portal. It is recognised that the Charter will need to evolve over time. In its first year, it will primarily be applied to the development of the new State Planning Policies, the Planning and Design Code, and Infrastructure Schemes as required under the new Act. As the State Planning Commission prepares these documents, it will test the Charter and its application to allow for its ongoing evolution. During this time the Commission welcomes ongoing feedback to assist in monitoring and improving the Charter. 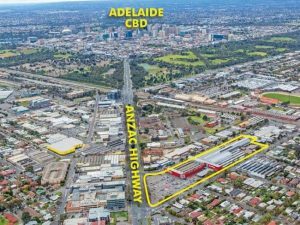 By presenting a development application Kaufland have confirmed their interest in the Anzac Highway Le Cornu site. They recently lodged a development application for “a new retail development”. The proposed development is only for the front 60% of the existing LeCornu site . A development that will include a major supermarket, a range of small tenancies and office space. 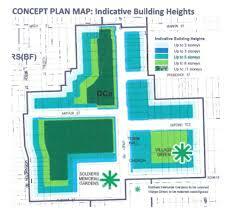 A development which will not contain any residential component. Accordingly the 5 storeys height allowed under the new development plan will not be reached. Other developers will be offered the remaining eastern rear 40% in due course. When this happens it may well be a 5 storey development. Our Administration will review the proposal. In due course draft comments will be provided to Elected Members for our perusal and feedback before we submit them. We will then present them to SCAP. Furthermore, the application will be subject to Category 2 public notification to adjacent properties. Notification will however be limited only to direct neighbours and property owners on the opposite side of the streets of the site within 60 metres of the boundaries of the site. Once the timing for Cat 2 notification is known, I will alert readers of this blog via my Facebook page. In the meantime, I will seek audience with our administration so that I may view the detail of the proposal and offer assistance to Council’s input. I am aware of a number of concerns of near neighbours. I will ensure their concerns are considered in our submission. 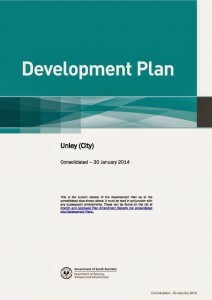 As the government tries to take the lead on Planning Reform I implore them to follow Unley’s lead. The Department of Planning, Transport & Infrastructure (DPTI), on behalf of the Minister, wrote to us late last year. They put a proposition to us to co-operate with them as they push ahead with the Government’s planning agenda. In attempting to take the lead on planning reform they have asked councils to collaborate with them. They are asking us to sign a formal agreement to work with them. An agreement intended as a living document that will adapt as things evolve and change. An agreement recognising the need for a more “formal” elected member involvement and direction. I implore them to simply follow Unley’s lead. They have agreed with Unley’s approach to good design but this has yet to occur in other council areas. This week our City Strategy & Policy Committee will be making a recommendation to Council in response to the Government’s request. I expect the committee (of which I am a member) and indeed council to agree to work with them. To facilitate the efficient and effective development and implementation of the new planning system, the co-operation and contribution of local government is pivotal. In a spirit of continued co-operation and as an investment in better “local” outcomes, a genuine commitment to involvement is warranted. However, this must work both ways. They (DPTI) need to recognise our understanding of the local environment. They need to follow Unley’s lead. Furthermore, other councils need to follow Unley’s lead. We have already, with a series of DPAs, achieved the population accommodation required by the Government’s 30-year plan. We achieved this with selective rezoning. It has been achieved with planning principles for transitioning to adjacent residential zones not achieved anywhere else. Please Minister, whoever you may be after the upcoming election, follow Unley’s lead. Don’t bother responding to this public consultation. You are wasting your time. They don’t listen to you. Thought that? Heard that? I am here to tell you that People Power Does Work! The Planning Minister recently advised that 4 of the “specific sites” recently proposed for zoning changes were not included in the approved development plan amendment. He cited significant community opposition as one of the motivators behind his decision. He also agreed with the reasons given for opposition to those sites expressed by the local community. One of the sites was at Unley Road Malvern. Not many in the community were aware of the proposed changes. Communication by the Government was poor and the reason for this. One of the local elected members for Council, Cr Michael Rabbitt took it upon himself to alert the local community. Jennie and I did this during DPA 2 a few years back. We made sure that everyone that would be affected by the proposed changes knew that the changes were proposed. We also encouraged, as did Michael this time, the community to put their views forward. Speaking with Malvern residents yesterday at a celebratory street party I heard how those who spoke out were told by some they were wasting their time. They were told they were that no-one ever listens, that they won’t change the Government’s mind. Wrong. They were listened to. People power does work. Not only were the listened to, they had the ultimate influence over the minister’s final decision. This, with 3 others was excluded. The same occurred with three other sites in other Council areas. It also occurred with DPA 2 I mentioned above. It occurred with the recent Unley Central DPA where both the Council and the Minister took notice. Let me finish with a question for you. What is the worst thing that could happen if you don’t speak up? Last night our City Strategy & Development Committee met and discussed the Ministers two DPAs. Refer my recent blog on the importance of local knowledge in a Development Plan Amendment. We concurred with the Local Knowledge Assessment by our Mr Brown of the Ministers (Specific Sites) DPA. Led by my observations in support of his assessment and a motion moved by me the committee has recommended Council go further than his recommendation. As noted in my last blog post Mr Brown provided an in-depth analysis of the Ministers DPA. This analysis demonstrated that the Specific Site DPA did not relate to his Design DPA. It fell well short of the parameters that Unley has previously demonstrated with our DPAs. Parameters that his Design DPA had been based on. The Committee saw the Ministers DPA this way. The most significant observations were the zoning the Le Cornu site as a Transit Zone and Unley Road Malvern as High Street. The other observation is the classification of the street behind Cappo as a primary street. We concurred that the street behind Cappo is a narrow suburban street that should be classified a secondary street. Our recommendation will provide setbacks not provided in the proposed zoning. Setbacks that will soften the interface with the surrounding residential zone. Setbacks that will reduce the height along Chinner. 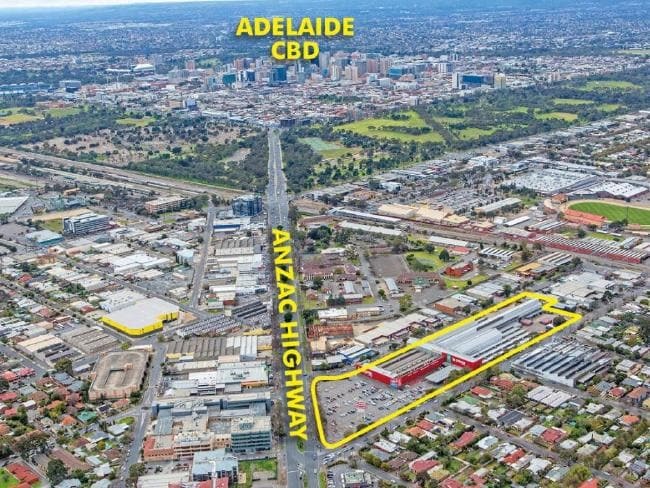 Both the Le Cornu site and the Malvern site unmistakably should both be business zones with setbacks along both Anzac Highway and Leader street, the latter to protect the interface with the residential zone to the south. So long as setbacks are recognised we had no difficulty with the heights proposed at Le Cornu. We did however on the Unley Road site. We determined in discussions a height of 4 storeys, or even 3 with Business zone setbacks rather than high street. But we went further. We determined that it was inappropriate that this site be included in the DPA. In a climate of low population growth, it was not necessary to isolate this site from its surrounds. Council has provided opportunity for significant growth (say 200 people) just down the road in the District Centre. This site we believe would potentially compete in a low market with the District Centre and the latter surely should be encouraged first. Now, let us wait on whether Council concurs in two weeks or whether they would prefer changes to this recommendation. Tomorrow night we will see demonstrated the importance of local knowledge in a Development Plan Amendment (DPA). A report from our Policy Planning Officer Mr David Brown on the Minister’s Corridors DPA will be received by Council’s City Strategy and Development Policy committee tomorrow night. We will consider the DPA with the help of his analysis. The committee will then make recommendations to Council. Council can then consider in to weeks times making similar representation to the Minister. Honestly, the Minister could do with having David Brown on his staff at DPTI. David’s analysis has identified a plethora of anomalies/discrepancies in the DPA. There are discrepancies between the DPA and Unley’s previous parameters set in our Corridor DPA. Discrepancies also indeed between this DPA and his concurrent running (design) DPA (also being considered tomorrow night). Too many to highlight in a blog post. Sufficient, that said, to demonstrate the folly of the Government’s move to progressively take Council out of the planning process. Sufficient to demonstrate that a State or Regional Government does not and cannot identify with local nuances. I will be keen to hear the input of our independent members into the DPA and into David’s analysis. His analysis should be the catalyst for quite a comprehensive representation on our part to the Minister. It is to be hoped that he takes on board our observations and suggestions, whatever they wind up being after Council considers the committee’s recommendations in two weeks’ time. I believe the importance of local knowledge in a Development Plan Amendment will be demonstrated tomorrow night. If you want to see David’s in depth analysis check it out here, item 9. I took the opportunity today to speak with the Leader of the State Opposition, Stephen Marshall. An opportunity of lobbying the Libs in the Battle for Badcoe. An opportunity not to miss. 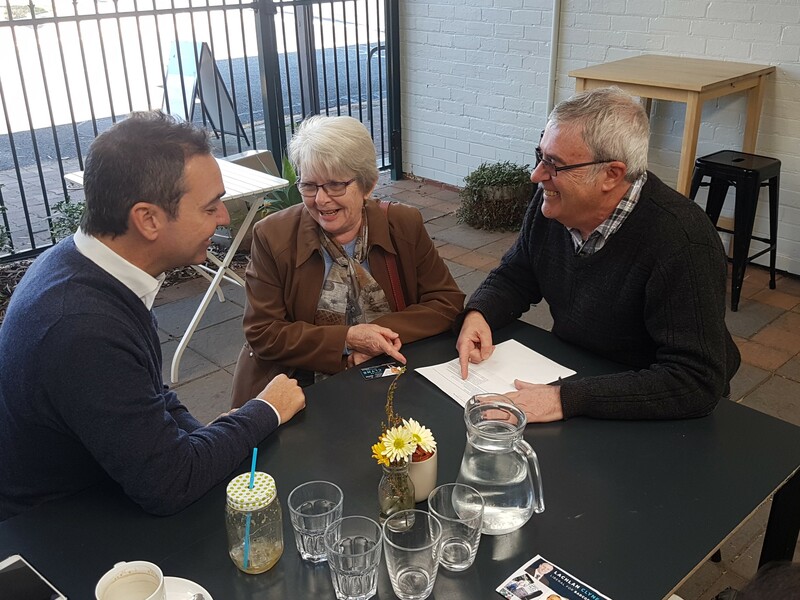 My wife and I met today with him and the Badcoe Liberal candidate (Unley Mayor) Lachlan Clyne. They had a meet and talk session for the local community at Sublime between 11.00 and 11.30 which we took advantage of. This I did the same some months back now at Carnevale with Jayne Stinson, the Labor Candidate. As I did with Jayne back then I unashamedly pushed a City of Unley agenda. Well, more precisely a Clarence Park Ward agenda. 1 Improvement to our Major Sporting/Recreational facilities. As Council puts the finishing touches to the master planning for the Goodwood Oval and Millswood Sporting Complex we will be seeking grant funding from the State Government, whoever they may be come March 2018. Knowing when and what South Road will look like will give locals some comfort for residents living on or near East Avenue. Likewise residents living on Leah Street in nearby Goodwood Ward. South Road as a non stop road can only improve the internal traffic to the benefit of all home owners in these areas. Once again knowing what is planned for South Road will shape what can or should/should not happen in the DPA for Black Forest, which is due to come back for consideration by Council later this year. Since the electrification of the Seaford Rail Corridor we have seen the removal of gates to the rail stations along the corridor. This is a risk of significance at Clarence Park Rail Station in that young children particularly are at risk. On one side we have the Clarence Park Community Centre, the home of occasional child minding. On the other we have the Clarence Park Community Kindergarten. This is a deep concern to both my wife and I, noting there has been a death at this location in the past. She (my wife) also lobbied for changes to the access ramps to the station. The ramps are non DDA complying. Wheelchair or Scooter access is therefore very difficult. Minister Rau announces new DPA to focus on specific sites. The Minister today announced a change in direction with his program of Development Plan Amendments. He announced a new DPA to focus on specific sites. This DPA is known as ‘the Inner and Middle Metropolitan Corridor (Sites) Development Plan Amendment”. In making the announcement he acknowledged difficulties with the Corridor DPA’s. He recognises too the redevelopment along the corridors may be a future thing rather than an early or soon thing. This means those incomplete or not commenced Corridor DPA’s will be put on hold. The Minister is aware that there are sites that are ready to be redeveloped sooner rather than later. They have been identified too as being good opportunities for incorporating the other DPA he announced today, “the Inner & Middle Metropolitan Corridor (Design) Development Plan Amendment”. He is focused therefore on a new DPA to focus on specific sites that provide the opportunity for early redevelopment. All 4 sites could be considered a catalyst site. A site where development might occur sooner rather than later. Both DPA’s are open for public consultation as of tomorrow. Submissions are required by 25 July. 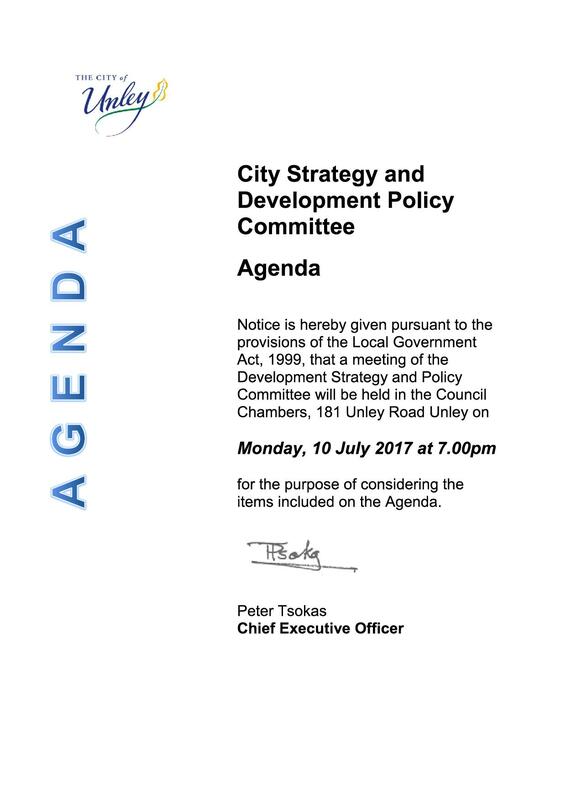 A public information session has been set for City of Unley participants on 22 June between 4.00 pm and 6.30 pm. It will be held at the Latvian Hall, 4 Clark Street Wayville. I encourage all who have shown an interest in the recent series of DPA’s to take the opportunity to look at this one, and take part in the consultation. Council face a DPA balancing act. 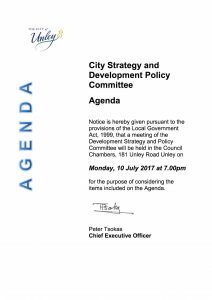 Last Tuesday night’s Unley Central DPA public forum has presented Council face a DPA balancing act. 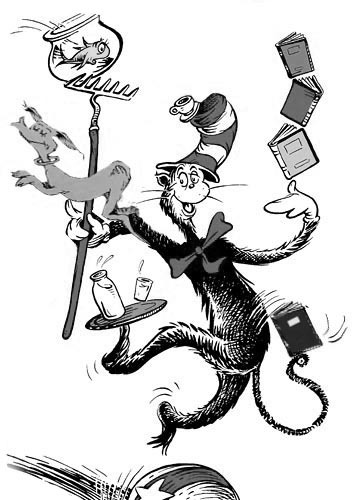 A juggle between Community and the Government. Yes, after your recent input we face a DPA balancing act. We must recognise genuine concern from rate payers. At the same time, we must put a submission to the Minister for Planning, the honourable John Rau, that he will respect and not throw back in our faces. As I noted in my last blog post we will be looking at all submissions and we will identify what we can realistically use and what we will need to carefully consider before altering. On the one hand, we run the risk of members of our community rejecting our next draft. On the other hand, we run the risk that the Minister will reject our submission to him. We run the risk that he will see us as abrogating our responsibility. If this happens he will rule what happens and ignore us. The result for our community will be worse than what some believe is now the case with what we are proposing. Minister Rau could quite easily rule that the DPA will see only one change to the zone. That change would be to permit residential development. Residential development is currently the only restriction in this zone. There is no height limit, other than that imposed by the Airport. Forget 11 storeys. Expect 25 storeys and more. Forget 3 storeys on the east side of Unley Road. The heights that apply now north of Unley Central along Unley Road is 5 storeys. So, the challenge for Council is to put heights to the Minister that he will see as having a rationale acceptable to him. As I said above if we come back with a negative submission you, the community of Unley, will regret that Council did not work for the best possible outcome for them. I am sure we will come back to you before any changes are put to the Minister. I ask you to show the maturity and the understanding I know the Unley community has, to work with us to ensure we can reasonably face a balancing act and have some control over the end result. What a night it was last Tuesday. 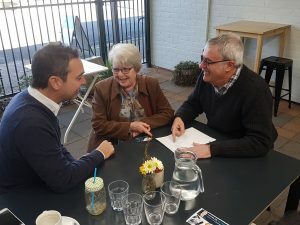 Council hosted the community around the Unley Central Precinct. A night of emotion. A night to remember. It is back to the drawing board as the Unley Community responds to the Unley Central DPA. Last Tuesday night Council’s City Strategy and Development committee hosted a public forum. The forum allowed rate payers to further clarify their written submissions to Council’s Unley Central DPA. Approximately 200 people provided written submissions and around 40 backed up these submissions on the night. Most but not all were against the draft proposals. We received some valuable input from many. Input as to how we might change the draft before putting it to the Minister for approval. I am sure the Committee and indeed Council will take these on board. We must be careful though not to allow ourselves to get sucked into accepting misplaced submissions. There were several these. I have thoughts on this that will be the subject of another Blog post. Many rate payers have forgotten that we (Council and rate payers alike) all agreed back in 2006 to put a proposition to the Minister. The proposition was to protect our historic conservation zones and our streetscape zones. We offered the Minister increased density in the main street corridors and in Unley Central. What we have found as we have rolled out the various localised DPA’s is that many in our community have forgotten this. We have also found that the keep forgetting that this is not Council driven but Government driven. Our ongoing communication, written and verbal, is probably responsible for this. I remind our community that if we don’t conduct these DPAs the Minsiter will do it on our behalf. If this were to happen we lose all control and the result will NOT be to anyone’s liking. We have also found that our rate payers inevitably believe that we should be focusing on other areas to rezone. In other words, they are in opposition to rezoning their area in favour of rezoning other areas. What these people do not understand is that all areas of council apart from the zones including the Le Cornu site which was raised several times in the submissions received.